In a move that affects the citizens of Ixworth, we have learned today of proposals to rebrand as ‘The Curious County”. To say that the new branding has caused waves is an understatement. Quoted from the BBC website – “It’s synonymous with respectable market towns, Benjamin Britten’s music, and bracing swims on shingle beaches. But the bucolic county of Suffolk is divided over how it should present itself to the outside world. A proposal by local tourism leaders to brand it “the curious county” met with a fierce reaction from some locals, including the area’s Conservative MPs. “Idiotic and meaningless, if not positively dangerous,” Bury St Edmunds MP David Ruffley railed in the East Anglian Daily Times. Dr Dan Poulter, a minister and Central Suffolk MP, said “It has got to be stopped.” And Dr Therese Coffey, MP for Suffolk Coastal, told the paper that “curious” was a euphemism for something “not quite right”. 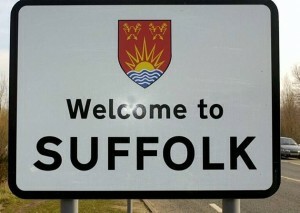 We think that the communications agency should themselves be branded “The Idiots of Ipswich” and stop this lunacy now. Nick Laughton was brought up in the village and retains fond links to the village.